It’s almost time for summer vacation! Before you head off to the beach, park, or splash pad, remember to take some time to say thank you to the person who has stood along beside you in rooting for kid this year: their teacher. Now, most teachers probably have enough mugs to host coffee for the entire school, so let’s try to think outside the box. Here are some fun teacher appreciation gits for your public, private, home school co-op, or Sunday School teacher. Teachers get tons of baked goods and candy, so even it out with a basket of healthy fruits. You can get a cute basket from the Dollar Tree and stock-up on fruit that is on sale. Don’t see a basket you love? You could also use a small plastic storage bin. It will be cute and come in handy later! You can even throw in some vegetables if you want. Grab an oven mitt and fill it with pencils and pens or kitchen items. 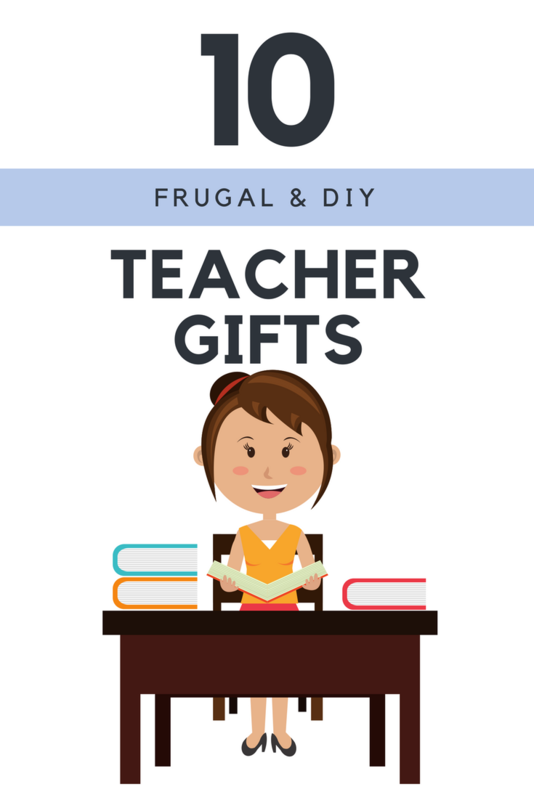 You can then tie it with a cute ribbon and add a card saying, “I have to ad-mitt you’re a great teacher!” This entire gift could easily come from the Dollar Tree for less than $5. 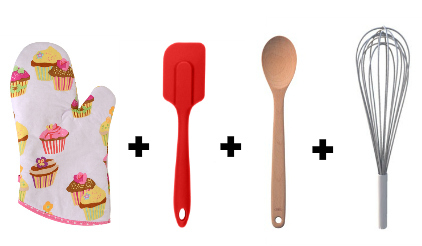 For cute oven mitt options (including the cupcake oven mitt pictured), be sure to check out Flirty Aprons. Teachers get summer vacation too! Fill a beach tote with a magazine, pair of flip flops, sunglasses, and more. We can find many of these things on sale (think Target and Drugst0res) and they will come in handy when the teacher gets to relax in the sun. For a cheaper version, wrap a beach towel and magazine or flip flops together with a wide ribbon. Every teacher deserves a little pampering! Get them a yummy smelling hand soap or candle. 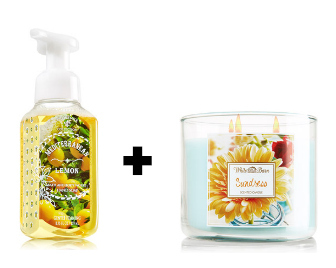 Bath & Body Works and The Body Shop often have great deals on these items. Put together everything your teacher needs to make s’mores! Grab some chocolate, graham crackers, and marshmallows. For a gluten free version, we use Rice Krispies treats. You can put it all together in a cute bag or tie it together with a ribbon. You can also use the item search to see where the ingredients are on sale. 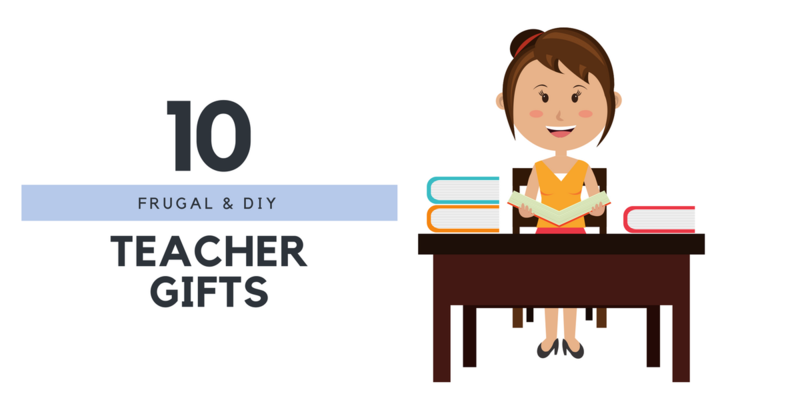 Have your child write their teacher a thank you letter. They could mention fun things they did this year, things they have learned, and ways the teacher has helped them. Throw in a $5-$10 gift card to Starbucks or Target and you have a perfect gift. Remember, if you buy a gift card at Bi-Lo or Kroger you can to earn fuel perks! You can never have too much jewelry! 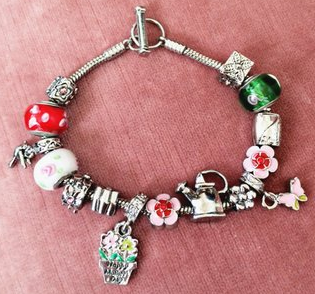 Bellechic has designer inspired bracelets for usually around $10 shipped! Many teachers share fun things that are going on in their lives with their students. This may be a new baby, new puppy, or fun vacation they plan to take. Talk to your kid to see if his or her teacher has mentioned anything. This is a way to get them a fun and practical gift they’ll love. For example, get the teacher a dog bed or toy for the new puppy. 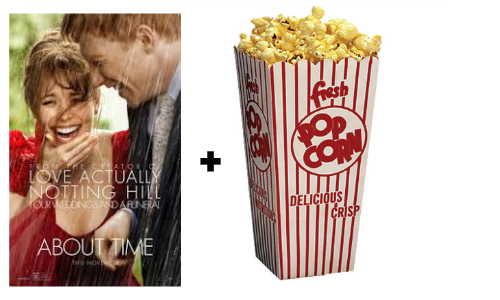 Put together everything your teacher would need for a movie night in! Include a movie, popcorn, and candy. If you don’t know what movie they would like, include a gift card to a local theater or a Redbox gift card instead. If you love to bake, my go-to recipe is Southern Plate’s Holly Jollies. They’re quick, easy, and do not even require you to use your oven. Put them in a cute tin pail (found in the Dollar Section at Target) and you are set! See more frugal living tips.